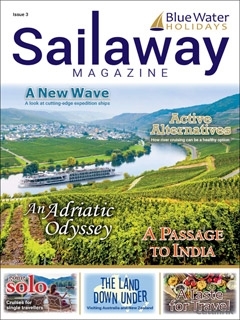 View the Sailaway Magazine 3 Online Brochure Now! Issue 3 is packed full of interesting articles including features showcasing Australasia’s natural beauty and cosmopolitan cities, and the colourful cultural melting pot of India. There is also a focus on expedition cruising and the innovative new ships, a piece on the perfect holidays for single travellers, and a look into how river cruising has adapted to suit the needs of the more energetic, health-conscious passenger.